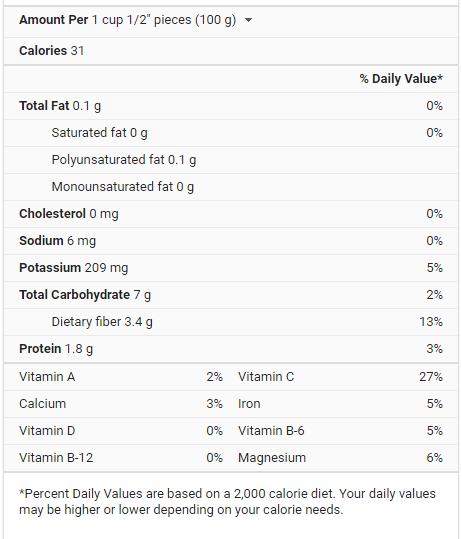 Food Costs > How Much Do Green Beans Cost? How Much Do Green Beans Cost? Naturally crisp and fresh, green beans are a staple in many recipes and side dishes. Of course, what would Thanksgiving be without a steaming dish of green bean casserole? According to the USDA, fresh green beans retail for $2.14 per pound, canned retails for $0.83 per pound and frozen retail for $1.67 per pound. These prices, however, can be less durin ga sale or when the beans are in season. During the summer months, for example, it’s not uncommon to see beans for as little as $0.99 per pound at a local grocery store. Canned green beans can come in various sizes; however, the most common size is 14-ounces and will either be stored in water, oil, or a combination of the two. Fresh green beans can be purchased in the vegetable section at a grocery store where you can fill a bag with as many beans as you want. If you don’t want to hand pick your beans, then you should be able to find a vacuum sealed bag of freshly cut beans. Lastly, frozen green beans will be found in the freezer section. Some brands come in a bag that is able to be thrown in the microwave and will be steamed right in the bag or can be dumped out of the bag into a dish of choice. Green beans are rich in proteins, carbohydrates and fiber, also containing vitamins B, C, K and multiple vitamins. Keep in mind what kind of dish you are cooking. A slow cooking dish would generally require fresh beans, while a dish that cooks faster, such as a stirfry, could use canned or frozen beans. When picking fresh beans, keep an eye on the beans you pick. Do not just grab a handful of beans from the bin and shove them in a plastic bag. Be on the lookout for withered, dried, or rotten looking ones. A good green bean should be firm, crisp and won’t have any bulges. After you buy your green beans, either store them on the kitchen counter if the stems are still intact or in the refrigerator inside of an airtight container once the stem has been removed. If not freezing, it’s best to eat them within three days. To freeze, rinse your green beans and cut the tips off of each end. Then, place the green beans in boiling water while covered for three minutes. Immediately after, submerge the green beans in ice cold water to stop the cooking for another three minutes. After, put the green beans into an airtight container or vacuum-sealed bag. There are over 130 varieties of green beans, and while the most common color is green, other colors include purple, red, and streaked. Steaming green beans can be done via three popular methods: via a pan, steamer basket or a microwave. Steaming is a great way to maintain the colors and as a way to hold onto the nutritional value. To steam, bring a half inch of salted water to a boil, either in a large frying pan or saute pan. Add the green beans, cover and cook until the water has evaporated, which is usually three to six minutes. In a steamer basket, bring an inch of water to a boil in the bottom of a pot that fits your steamer basket. Once boiling, place your beans in a steamer basket, set over the water, cover it and allow it to sit for up to five minutes. The length, just like steaming, all depends on how crisp you want the beans. In the microwave, place the beans inside of a large bowl, with about a tablespoon of water settling at the bottom. Cover the beans with either a paper towel or microwaveable-safe plate and microwave for up to one minute. Watch for sales, especially around the holidays when many grocery stores will start having sales on all the varieties of beans listed above, simply because of the popularity of dishes like green bean casserole. Buy local. 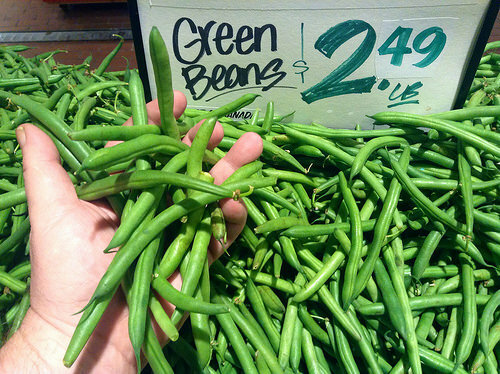 Check with your local farms and farm stands to find out if there are any local farmers growing or selling green beans. You can sometimes find them cheaper than what the local grocery store is selling it for. Buy in season. Green beans are going to be more expensive outside of their growing season, which is in November and December. If you are going to buy frozen or canned, consider the store brand rather than the name brands. They will be the same quality and much less. Grow your own green beans rather than purchasing them. You can get a package of green bean seeds for as little as $1. If you care for the plants the way that you should, you could get a pint of green beans every three days or so. This will be an incredibly cheap way to stay stocked with green beans. Consider planting other types of beans as well to give you and your family a variety. When in season, consider going to a U-pick farm. These farms often charge by the quart, usually $3 to $4 per quart.